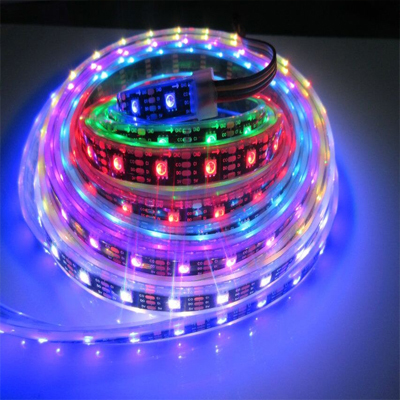 APA102 LED strip with silicone tube can be use into water and outdoor , which has one data cable with one independent clock cable , this makes the signal travels very rapid and stable quality.It also easy to be controlled by led controller . 1) Energy saving and environment protection. 2) High brightness SMD5050 rgb full color LED chip . 3) Each led individual controlled,every led cuttable. 4) Match the RGB controller and power supplier system. 6) Available in various single and RGB colors.